Since Penny Fowler’s foodservice program is federally funded, price must be the No. 1 consideration for the Gainesville City School District director of school nutrition when selecting a supplier. But, the Florida operator says, it’s not the sole deciding factor. 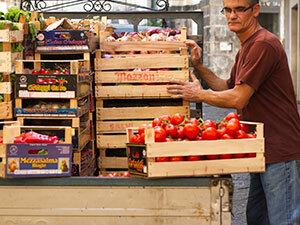 Nothing happens in the foodservice industry until food and supplies are delivered. Picking a supplier who can meet an operation’s needs at a reasonable cost is challenging, so having a set system of selection and standards can be crucial. Learn as much as you can from suppliers by touring their facilities and meeting employees. Dunn, whose team is in charge of monitoring Sodexo’s suppliers for food safety compliance, also advises meeting a supplier’s technical experts, who provide tracking information, which offers clues about a company’s quality standards. Another way to get more information is to pull a business credit report, says Jim Pazzanese, vice president of supply management for Sodexo. Along with his corporate purchasing team, he is in charge of this rigorous review process, clearing suppliers so that its foodservice director clients don’t have to. Pazzanese also advises asking plenty of questions, including the company’s future plans. Dunn advises looking at the food safety and food management standards a supplier has decided to follow, while Fowler seeks suppliers who can submit the nutritional data required by the USDA for school meals.